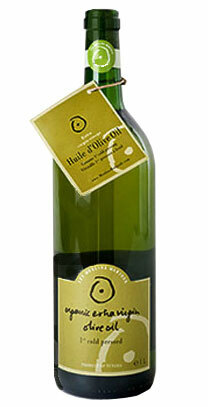 Les Moulins Mahjoub Tunisian Extra Virgin Olive Oil produces a delicate, golden olive oil. Mahjoub Tunsian olive oil is an unfiltered oil, traditionally crushed from only handpicked olives from groves that stretch gently across the plain of Tebouba in Tunisia. Mahjoub organic Tunisian olive oil is fruity everyday cooking oil, rich & buttery, having hints of tomato & artichoke, with a clean finish. Les Moulins Mahjoub Tunsian Extra Virgin Olive Oil. Size: 1 liter, Mahjoub Tunsian Extra Virgin Olive Oil / 33.08 oz. bottle.